Are your kids destroying your home with massive messes every day? 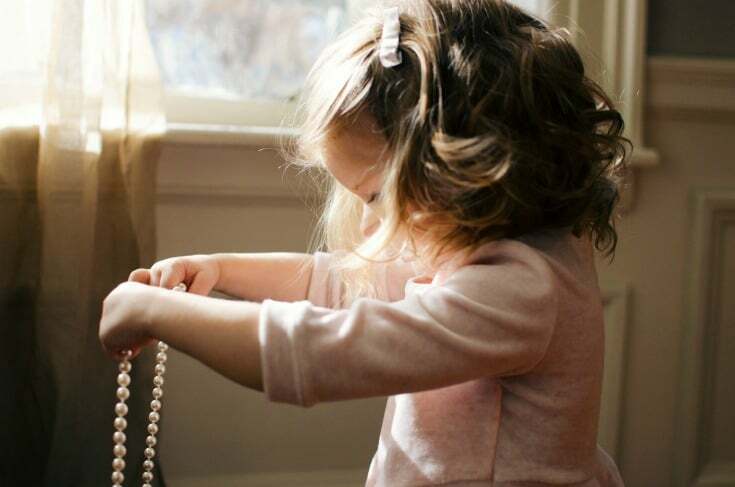 Here are five tips on how to stay calm – and clean – when your kids destroy your clean house. If you ever come over to my house to visit, one room is completely off-limits. I’ll happily entertain you in my tidy living room, you can talk with me while I cook for you in my picked up kitchen, and you can use my clean bathroom to freshen up. But I won’t take you into my family’s school room. As a homeschooling family, the name “school room” certainly sounds like our learning happens there. But school room is a polite name to call a room that holds our homeschooling books and supplies that we use in other rooms around our home. Most days our school room should be called a junk room, because the floor and every surface is absolutely covered with stuff. Here’s the thing. I try really hard to maintain a haven in our home. I clean our school room. I put everything away – neatly! – and make sure that everything has a place. And once the school day is over and our school materials are put away for the day, I leave the room and shut the door. But it’s like little gremlins steal into the room and get everything out. Everything. Because when I do go back in the room, books are scattered everywhere. Pencils and scissors and glue sticks and markers are strewn across the table. Paper – and tiny scraps of paper – litter the floor. And these surprise messes have a funny way of making me bubble up with anger. If you live with children, you already know the ongoing daily battle of cleanliness. 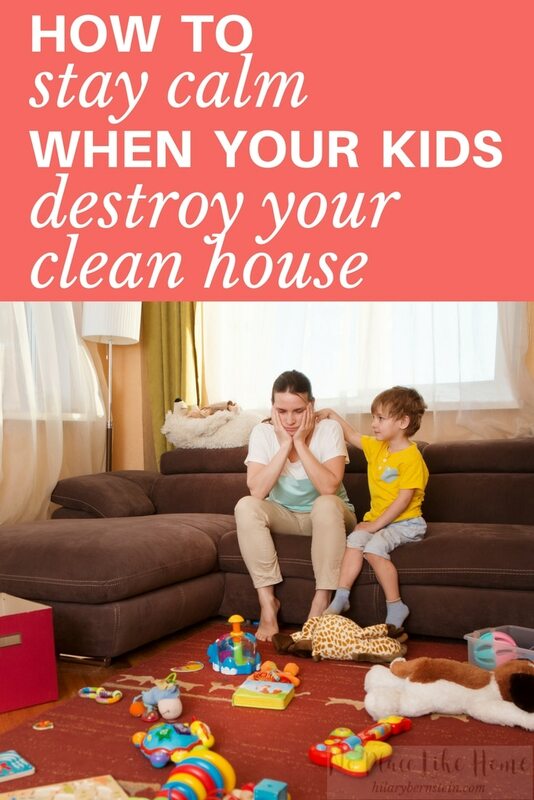 You could spend hours cleaning your home, but then watch all of your hard get destroyed in a matter of moments once children walk through the door. For neatnik parents, this daily battle can drive you up the wall. “My biggest frustration in homemaking is that I can’t seem to keep everything in my home consistently cleared and clean,” shared one of my readers, Leigh. Leigh’s not alone. Daily dealing with messes made by kids can make housekeeping seem never-ending. Of course, it already is an endless job, but watching your hard work get destroyed right before your eyes can make you feel defeated in a hurry. As much as it may seem like it at times, my house isn’t invaded by gremlins. My mess makers happen to be one 9-year-old boy and one 7-year-old girl. 1. Our kids are just kids. They weren’t born knowing how to clean. It’s our job to teach them, and like everything else in life, they won’t instantly learn. There will be plenty of trial and error. It’s also important to remember that because they’re kids, our clean homes aren’t our children’s priorities. 2. Messy kids are more creative. It’s true. A scientific study from the University of Minnesota proved that kids who have a messy room actually are more creative. 3. Science also shows that messy kids learn more. Toddlers who were allowed to explore their food through play and messiness were able to correctly identify their food. Those who weren’t allowed to play? They didn’t learn as quickly. 4. The less time our kids spend cleaning, the more time they spend playing and learning. Think about what cleaning takes away from us, as moms – time to do what we really want to do. Just like us, our kids want to have fun. At this time of their lives, though, playing really helps children learn and grow. Playing should be kids’ work. Since playing is exactly what our kids should be doing, we should encourage that. By stepping back as moms and allowing ourselves to see the big picture, we might be more patient and tolerant of the messes in our homes. By letting our kids have the freedom to explore and play, we’re helping them grow and develop. 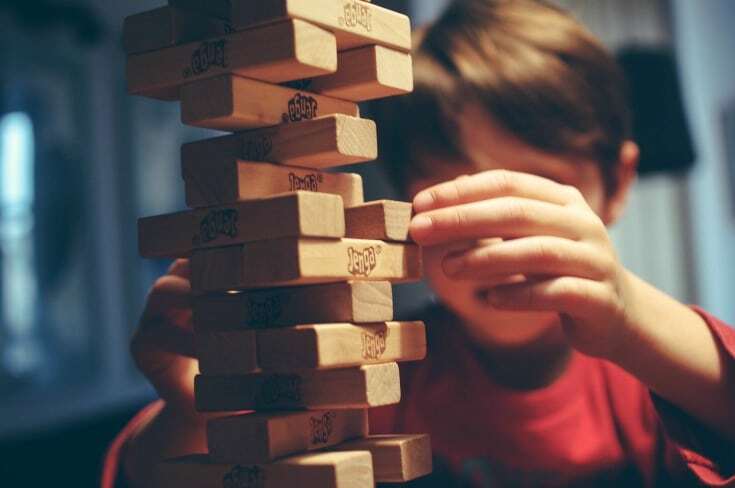 As much as I may know that playtime and messes help my children learn and develop, it still doesn’t change the fact that a messy house creates a lot of stress for both me and my husband. To meet our needs as adults, there still needs to be a balance. 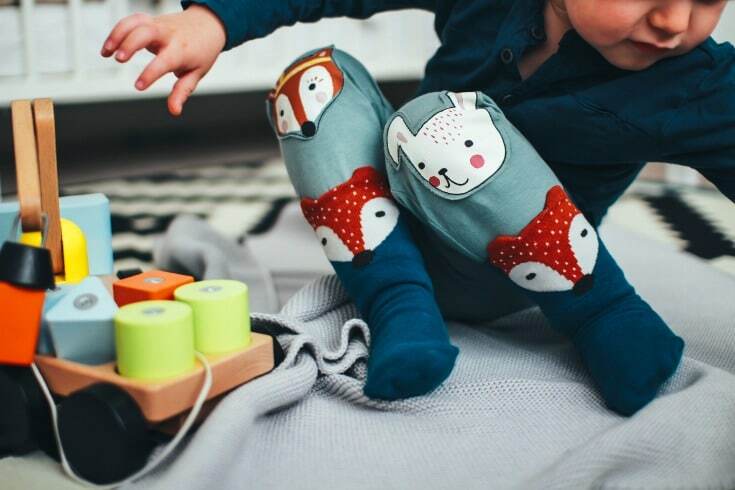 Finding that balance – between curious, playful kids and calmer, satisfied parents is the tricky part. 1. Get rid of unnecessary things. Because my kids didn’t want to part with all their toys when they were younger, I simply divided all their toys into fourths. One-fourth they could keep in their rooms to play with. The other three-fourths I stored in plastic totes in our basement. At the beginning of each month, I made the great toy switch and brought out another fourth of toys, while putting the played-with toys into the newly-emptied tote. Every single time I made the switch, my kids were thrilled. It seemed like Christmas morning at our house, because they were able to play with toys they had forgotten. Whatever you decide to do, cut back on what’s available in your home, and that will cut back on your cleaning jobs. 2. Make family cleaning times part of your daily routine. So you’re not the only one stuck with the job of cleaning up, make sure the entire family gets involved. The work will get done quicker, you can teach your kids to clean, and they just might think twice before creating epic messes that they’ll have to clean. 3. Accept minimum housework as a success … for yourself and for your kids. As a busy mom, you probably won’t have time to deep clean your home every day. Or every week. Right now, at this season of your life, it’s OK. Life will go on! Some days you may only have time to do non-negotiable daily chores. When this happens and you complete your non-negotiable daily chores, count it as a win. Give yourself grace. Give your kids grace. And lower your expectations for cleanliness in the process. You simply don’t need a spotless showroom of a house every single day. Be thankful for those fleeting moments when your home is really, really clean. 4. Keep your kids’ messes relegated to their rooms. If your kids love to be messy and you’d like to encourage their creativity in this way, make sure their messes stay in their own bedrooms. Keep their toys and books and clothing stay in their rooms – and close the door if you don’t want to look at the mess. 5. Once your kids are old enough to learn how to clean, get them cleaning. Your children do need to learn to take responsibility for their belongings. If you set firm guidelines as to what rooms should stay picked up, make sure you enforce those guidelines. One way to enforce your boundaries is to confiscate any belongings that are in a room that should be tidy. Keep them in a basket or box and make your work on chores to earn their belongings back. If they really want their things, they’ll work hard. And if not, you can declutter the things they don’t truly want. However you decide your rules for a clean home, enforce them. Teach your children what they need to do and make sure they understand their jobs and your expectations. Then don’t nag them. Kindly remind them what they need to do, but consistently use consequences if they don’t follow through. They’ll learn quickly and your home should be as clean as you’ve expected. By using those five strategies in my home, I’m able to keep my cool and stay calm – even when my kids destroy my clean house. When I see the messes they’ve made, I know I need to remind them to clean up after themselves. And, after my prompting, they do. 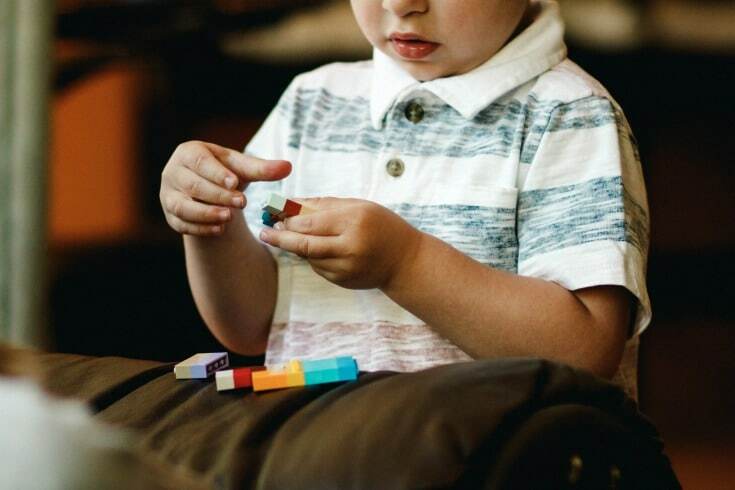 But in the middle of the mess, I also remind myself that by getting into all of our craft materials or books or their own toys, my children are using their creativity … and they’re not glued to a screen. Those benefits, to me, are way more important than a perfectly cleaned home filled with unused belongings. Want to start getting rid of unneccesary things around your house and in your kids’ rooms? Click here to join my free challenge, 14 Days to a Cleaner Home! 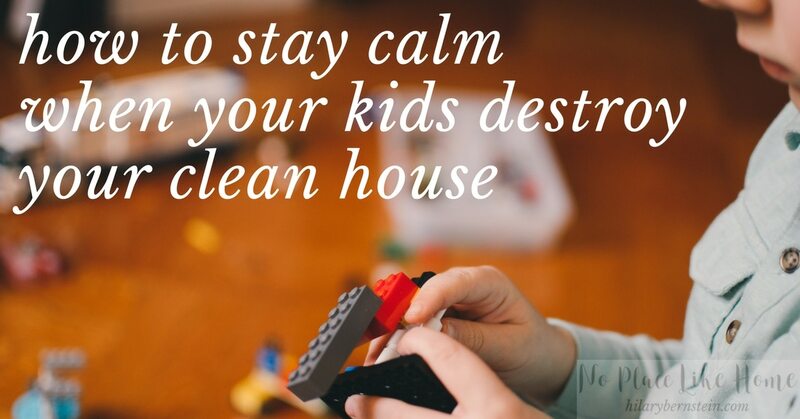 In your home, how do you stay calm when your kids destroy your clean house? Great tip! I am pinning this to keep in mind as our boys get older! Thank you! 🙂 We can’t wait to see what you’ve been up to this week on Saturday Show & Tell! Have a great weekend! I would put locks on everything and only open certain doors when it is playtime. Definitely declutter. There is no need to have so many toys, just a small collection will do and will teach your kids to look after what they have and you will save a lot of money and help the environment by not buying so much plastic junk that dominates our world in the 21st cenutry, not sure why little plastic crap like my little pony for example was allowed to take over from things like wooden toys and rocking horses.. at least they had to be handmade and last a lot longer. My kids are now 41 and 44. When they were growing up I consciously made decisions based on whether I wanted them to remember a clean house, or the time we spent together. When they were old enough I let them earn extra money by doing extra chores around the house. When they wanted extra money for something, they would happily do household laundry, vacuum or clean various rooms. They each were responsible for their own laundry as soon as they could reach the controls on the washer. We often made dinner together and had a great time. They turned into very industrious adults, very independent. I enjoyed reading your post, it brought back some great memories!